I met Tony Salmons in 1991, when he was hired to do storyboards on Season 1 of the animated Batman TV series for Warner Brothers. We bumped into each other frequently over the ensuing years, often because he would be selling his original artwork from one of the comic book series he would be illustrating. He was working on the Lovecraft project for several years, selling off the originals after scanning by the project's producer, Adam Byrne. 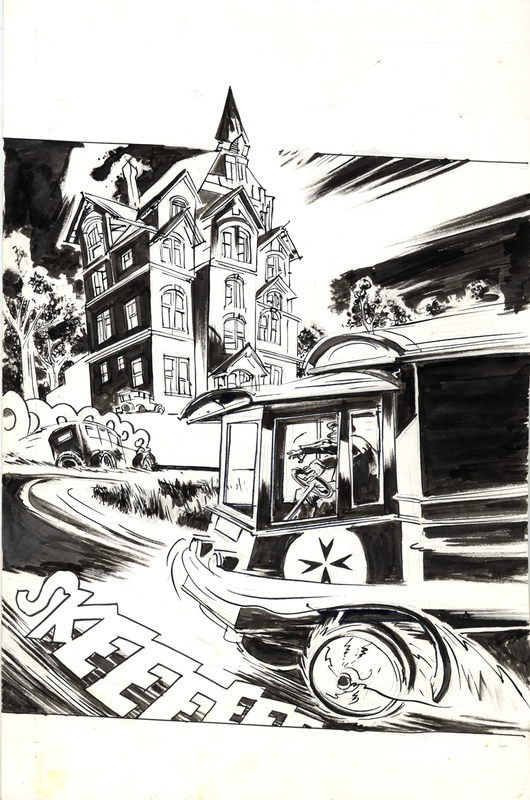 This is page #1 from issue #3 of "The Strange Adventures of H. P. Lovecraft".